Shaynna Blaze is an Award-Winning Interior Designer who has created stunning interiors in residential homes and commercial spaces for over twenty years. Armed with a vast portfolio of work in various fields of design, Shaynna is also a successful commissioned artist. Shaynna transforms commercial, private and retail premises from the most modest budgets to million dollar projects via her successful Interior Design business. In 2008, Shaynna’s talents were brought to a broader audience through her role as Interior Designer and Co-Presenter on the The LifeStyle Channel’s Award Winning Show, Selling Houses Australia. It was here that Shaynna was able to showcase her design skills, along with her warm and approachable presenting style, which have consequently led to regular appearances as a design expert across a number of mainstream shows including The Morning Show, The Circle, Today Tonight, A Current Affair and The Renovators. In 2012 Shaynna joined the team of design experts as a Judge on Nine Network’s Award Winning show The Block. Joining judges John McGrath, Neale Whitaker & Darren Palmer – Shaynna and the rest of the gang will be returning to our screens in 2013 with double the amount of renovating action with the launch of the first ever Block All Stars series. As Shaynna’s profile has grown, so too has her visibility across a number of other media related platforms, including having written a fortnightly column in the Herald Sun, a monthly online Q&A for ‘The LifeStyle Channel’, as well regularly updating her online blog with design inspirations. A popular choice with design magazines including Elle Decoration; OK! Magazine, Belle, Cosmo & Home Living, it was only a matter of time before the big publishing houses started to sit up and take notice and in March 2013, Shaynna’s debut book ‘DESIGN YOUR HOME’, a coffee table book published under Penguin Australia, hit the shelves! 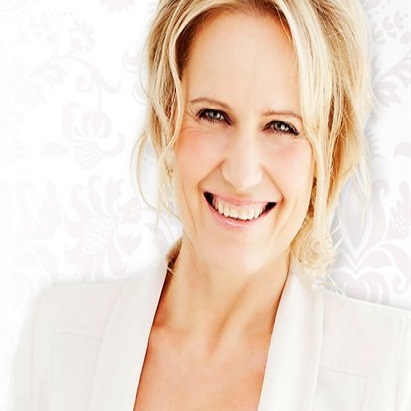 Shaynna is Creative Director for Taubmans whom are also one of the major partners of Selling Houses Australia. Shaynna is a Judge for the ‘Reece Product Design of the Year Awards’. In July 2013, Shaynna beat off some stiff competition to take home the coveted ASTRA Award for Favourite Personality – Female, along with a huge win for the Selling Houses Australia team who took home the award for Favourite Australian Program. When Shaynna is not filming or working on commissioned designs through her interior design company, Shaynna is available as a guest speaker or host at both private and corporate functions, where she focuses not only on design, but on our social environment and how it effects how we live and communicate.